Unconfirmed reports are saying that Billionaire George Soros’ Foundation computers have been HACKED and a huge tove of documents will be publicly dumped shortly. 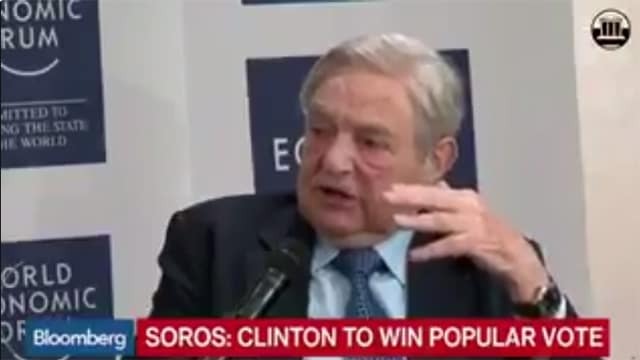 Soros is an “activist” who funds groups that seem to foment all sorts of political chaos in countries around the world. If the computers of his Foundation have actually been hacked, internal documents and financial information could prove to be a treasure trove for folks trying to put a stop to Soros meddling. PROGRAMMING NOTE: This will be a topic of discussion on WEDNESDAY, June 18, from 9:00-11:00 PM eastern US time (GMT -0400) on “The Hal Turner Radio Show.” You can listen via radio or right here in the Internet as the show airs LIVE. To tune-in by radio, select either WBCQ or WRMI worldwide shortwave. WBCQ transmits with 50,000 watts on frequency 7.490 AM. WRMI transmits with 100,000 watts on frequency 9.455 AM. To tune-in here on the Internet, click the LISTEN LIVE button in the menu bar above the main news section. Those links DO NOT GO LIVE until about one hour before my show begins. During that hour, I stream commercial-free music until my show starts. Don’t miss this extraordinary broadcast! This entry was posted in Americans, banksters, contamination, Corruption, creatures billions, Democrats, Disaster, fallout, FBI, Federal Charges, globalist, globalists, Goldman Sachs, human haters, Indicted, Uncategorized and tagged Hacked, Soros. Bookmark the permalink.